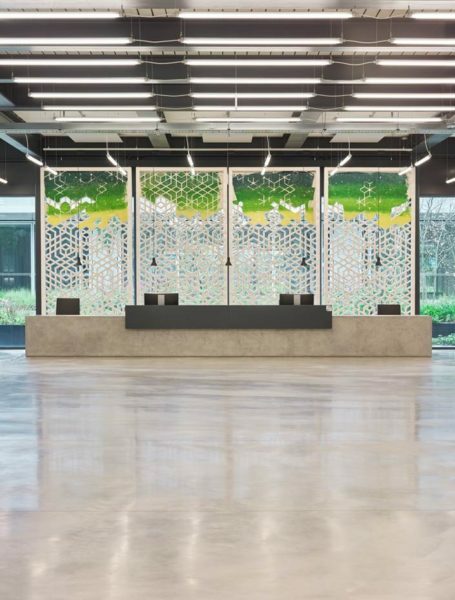 Stanhope and Mitsui Fudosan appointed CAS Consultancy to manage the commissioning of a feature artwork for the reception of WestWorks, part of the ongoing redevelopment of BBC Media Village. 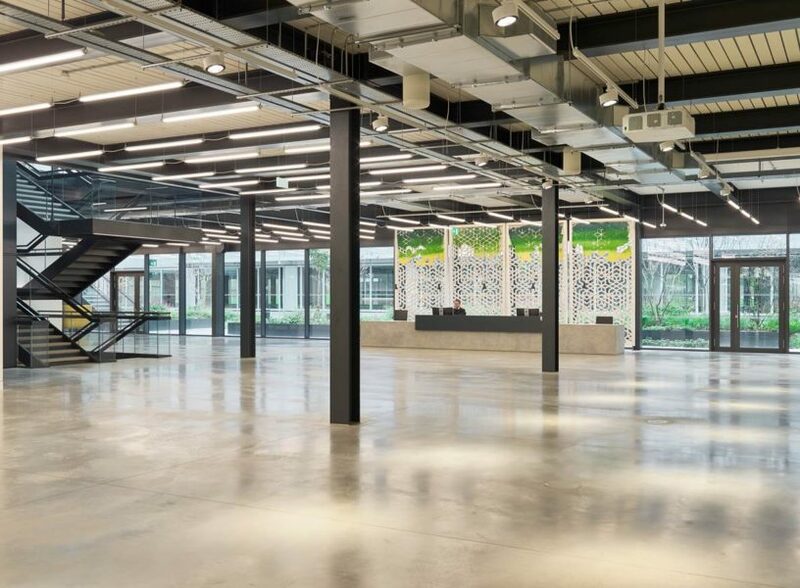 Designed by Allies & Morrison, WestWorks offers over 290,000 sq ft of dynamic office space and is part of the new business district White City Place. 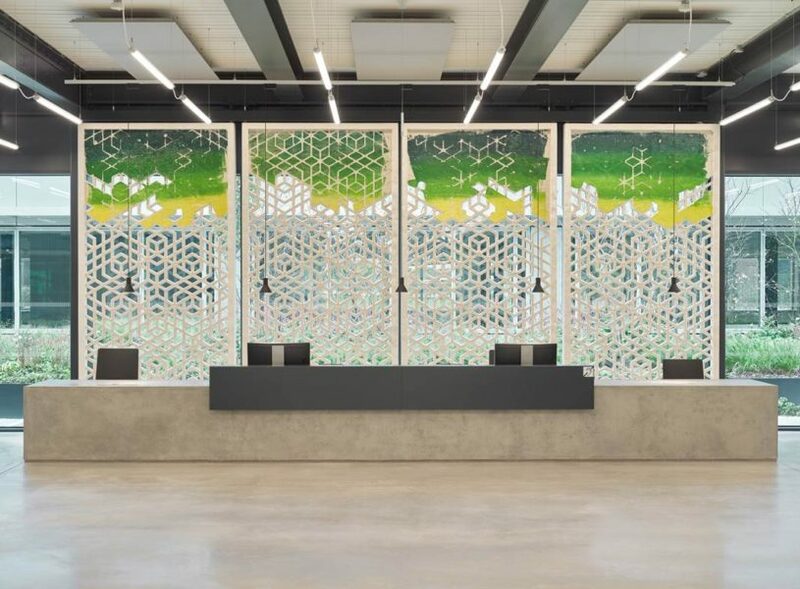 British artist Ruairiadh O’Connell produced a site specific installation of ornate screens for the reception area, inspired by the Japanese-British Exhibition of 1910 that took place on the site White City Place currently occupies. Celebrating Japanese culture and art, the exhibition was a hit with Edwardian audiences, who were delighted by the architecture, art and landscaping on display. 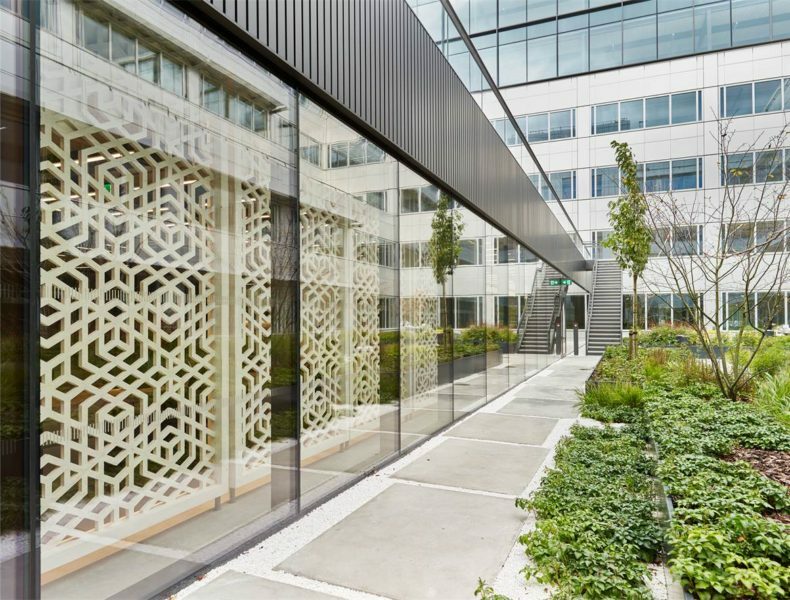 O’Connell’s first public art commission references this unique history and in particular, the ornately carved Jali screens which appeared throughout the exhibition. O’Connell’s interest in the screens comes in part from their dual nature: the carved abstract geometric forms not only look exquisite but also serve to regulate airflow. The washes of colour on O’Connell’s Jesmonite screens are a contemporary, painterly response to early Japanese landscape printmaking. 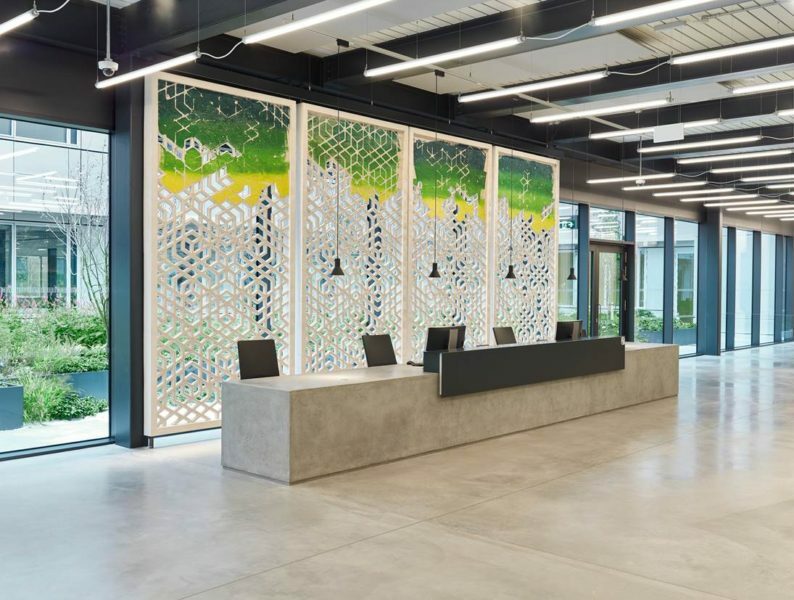 O’Connell’s artwork provides a striking focal point for the reception area, bringing the beauty and functionality that emerged from the Japanese-British Exhibition into our experience of the building in the present day.